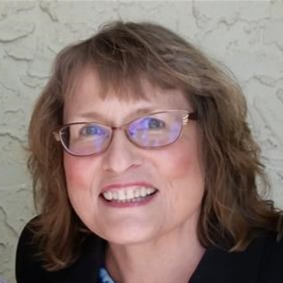 Kay Knutson, 67, passed away peacefully on November 2, 2018. She lived boldly, had an incredible ability to empathize with others, and hosted fabulous parties. Kay was an alum of Our Lady of Peace High School in St. Paul, Minnesota and College of Saint Teresa in Winona, Minnesota. She loved helping and educating others and worked tirelessly in the insurance industry for nearly 40 years. Most of all, she loved Jesus and lived a life marked by constant gratitude. She is survived by her children: Megan (Kelvin) Wade and Andrew (Abigail) Knutson; grandchildren: Jack, Ethan, Samuel, and Joshua Knutson; siblings: Elizabeth (Charles) Hickok, Joanne (Robert) Wehling, David (Karen) Schlaefer, Monie Konecny and Richard Schlaefer; including many loved nieces and nephews. She is preceded in death by her parents: Wilfred and Rita Schlaefer, and siblings: Gary Schlaefer and Gail Schulz. A memorial gathering will begin at 1:00 p.m., Saturday, November 10 at Abundant Life Church, 12400 Antioch Road, Overland Park, KS 66213; followed by a celebration of her life at 2:00 p.m. with a reception to follow. I Was a friend of Kay's in the insurance business. And had many enjoyable dinners at her house in Albuquerque. My condolences to her family. She talked of you often and love you greatly .She always had a smile on her face and love to cook. She will be greatly missed.